In the spirit of spreading the word about the 2012 NEXUS EVENT meditation, i have started a list of folks with large audiences and already established meditation groups and email lists. Please feel free to make contact and add to this list of folks we may contact as a group. Maybe the organizational crew would be willing to make a 'supporters page' in honor of the participants on the NEXUS website. Some of the folks will need a few weeks to return an email. 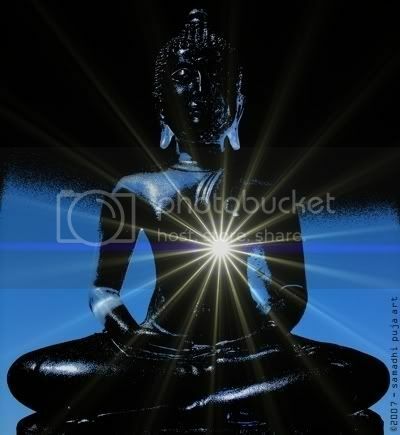 I want to pass on some info about 2012 NEXUS EVENT, a global meditation project that began on the Project Avalon Forum. The 2012 NEXUS EVENT thread has elicited much interest, over 150,000 reads and climbing, which shows the growing support for such action. Project Camelot has supported this event from the beginning and offer their continuing support in the blog updates on their site. James Gilliland and Michael Knight also offered their support by speaking on the Karen Conley show http://www.bbsradio.com/tallkatspsychic101/. I would like to ask for your participation in whatever way you would like for this project. we are aware that our planetary consciousness is in a wonderful state of transmutation at this time. this is why NEXUS 2012 is such a pivotal potential. the full manifestation of the project is envisioned to assist Gaia, our Great Mother, in this transmutation by offering our collective energy in the healing process. our focus will be on the ancient sites which encompass our world, showing us where her life sustaining energy points are located. being that you have a very large audience that covers the world, with hosts that have been leaders in this march and guests that are revealing more truth, we thought it would be a perfect opportunity to open an invitation to this continuing event. Oneness University - The home site of the Oneness Movement in India. ReCreation Foundation - a foundation created to spread the message of Conversations With God. Live Your Dharma - The web site of Ed Harpin, who runs classes involving Kundalini Yoga, Deeksha, and Quantum Light Breath in Yorkshire, UK. Last edited by unlimited mind; 02-05-2009 at 09:04 AM. thank you kindly Kathleen i will add more contacts as i go, but i needed some help with all the writing and contacting. what better place than this to do that. and it always helps to have more than just one person making the contact too. i would also like to add that it would be a timely idea to spread the word while the grid is still up. once everyone knows the details, we will BE the grid. Last edited by unlimited mind; 02-05-2009 at 03:07 AM. Please post follow-ups from those that you've notified... even those that do not reply... as I am interested to know if these sites do or do not offer a cooperative stance and why. i understand those concerns and actually have a bit of experience in dealing with it. i had a vision about this last year that i documented on my website (the link in my sig) i wrote to several organizations about the goal of unifying our intent at least one time a week. i only recieved one response, and it was a decline. paraphrasing- we do not want to support something we are not directly related to. this meant that the time was not right for this and that many more people needed to become aware of this opportunity. it is, after all, a wonderful responsibility to heal ourselves thus serving the greater, until, and when, the 100th monkey wakes up. healing ourselves by being of service. it would seem that the earth changes we will face will be directly related to the thought pollution we are projecting into the consciousness field. this will really be a wonder full time for folks to begin to observe this, as all of our old brain 'systems' crumble, making way for the new. i think the time is now for this campaign. the revolutionary in each of us is at the edge of taking the next step into the unknown. it will be a lot less complicated if we are unified in our mind. i will keep everyone updated on any responses i recieve. i sincerely wish that others will click those links and send a letter, and dismantle the 'wait and see' attitude that lives within each of us. we make our own way starting now. Last edited by unlimited mind; 02-05-2009 at 03:54 AM. tackle hug, many thanks dear! I have emailed the research department at Global Consciousness Project you can find more folks to notify under the contact link in the upper right corner on the site. Shangri-La or Bust contact anyone you find that has similar ideas, and make them aware of this EVENT. Global Peace Meditation and Prayer Day write folks who already have established groups and may see the purpose of uniting. Last edited by unlimited mind; 02-05-2009 at 07:16 AM. yahoo group search engine results for meditation almost 7000 groups! Last edited by unlimited mind; 02-05-2009 at 09:00 AM. Great initiative Unlimited mind ! I am in with this . We already have the lightworkers org that are with us. Will make more contacts from your list today . Will do some yahoo groups too. I'll will send a letter to yahoo groups 1 to 100. I would like to second EpiphaMe's concerns. Very thoughtful. I am still working on the Italian translation...sorry I'm taking so long...but I am in the final phase of finalizing it and have engaged two friends to help me out...hopefully it will be ready very soon. I have gotten in touch with Freedive, an Italian who was active on the AV forum before the "pay-membership" situation. He had translated the 4 New Paradigm books and had them made available on an Italian Alternative News site/ journal: Altrogiornale. He has just put on their forum (Feb 3) an announcement about the PC Nexus 2012 meditation events with all the links to the PC Astralwalker threads, healingexperiment, AW's curriculum, and book at buycontact.... with a link to the PC email to participate. He also includes a quick overview of AW's book. He also has offered his help in translating AW's whole book...although I am almost finished, I might let him take a look before I send you the final copy. All is well, I assume. Thank you Astralwalker,Phied, Mikey, Czymra, Samarkis, Futureyes, Lawless, Zeddo, Startrekka, Karelia, Burgundia, Winadeyo,Unlimited mind, Lightworkers Org,Divine cosmos, project camelot and Avalon .... and all of you who have contributed to making this first global synchronized meditation a possible event by adding your work to it, your encouragements and by spreading the word. May you all do well in your meditation today. Let's feel a warm flow of light encircling the Earth and may this be the start of a new world made out of our highest vibrational being ,LOVE as our essence and Unity with the divine cosmos. Last edited by mudra; 02-08-2009 at 02:00 PM. Here is the link to give your feed back after and in between our meditations. i have written to the moderators group for yahoo, and will pass on the reply once i get it. keep fingers crossed. i have also alerted all the yahoo groups i am a part of and put the meditation times on the calander. How about you ask some of your ET friends to write a message in the sky or the corn? I am sure they will do this once we have been in Avebury Czymra. keep your eyes peeled, since you have now made the request for validation. there are many reasons why i feel that the NEXUS 2012 meditation is and will be a very significant event. i have only shared this with mudra at this point, but will do so if she feels that it may add any significance to the discussion here. but i do have some very good news that came just a few moments ago. i have been asked to do an web radio interview about NEXUS 2012 event on Beyond the Ordinary dot net in a few weeks, so more exposure for the meditation can ripple out into our aware communities. We also have to get back in track to organize the global meditation event. Find what meditative groups have most meditators in every continent and what time they are doing their global meditations. Once when located the objective is to contact the organizators of those events and to humbly explain the goal we are trying to achieve and will they join us. I have also too many other things on my back, that I urgently have to take care off, so any help in this direction (contacting those meditative groups on every continent and synchronising them) will be most appreciated. So those people have to contacted, with a explanation given what is the issue here and to humbly ask them to join us. Nevertheless it sounds complicated it’s not. We just have to find those groups and syncronise them. Everything else will come by default - as we go. But, if we want the May 9th event to become reality, we have to start gather groups on every continent - now. I suggest we first make a list of who is living where. Everyone could handle his own country. If more than one in the same country you could team up and share the job. I'll make a list of the meditation groups I find here and inform them of our project. All the groups from which I'll receive a positive answer I'll will post them on this thread. I encourage everyone on nexus to do the same. Last edited by mudra; 03-01-2009 at 11:35 PM. Last edited by mudra; 03-10-2009 at 08:37 AM.